Your heating system is not enough to maintain a healthy and comfortable humidity level these cold months. But, there are other ways to get rid of dry air and humidify your indoor space. Discover these seven (7) smart tips to keep moisture at home without running a humidifier. Houseplants are meant to battle humidity in your home. How? It is by producing moisture through transpiration. This process happens when moisture evaporates from the plants via the stems and leaves. Be sure to keep your indoor plants well watered for better results. Your bathroom is one of the biggest contributors of moisture when you are taking a hot shower. Experts recommend leaving its door open as you take a shower to allow the water vapor to humidify the adjacent rooms. If there is water, there is moisture. To keep your room humid, it helps to place a bowl of water close to any heat source like radiators and heat registers. The heat will help the water evaporate faster thus, keeping your room cooler and damper over time. Instead of running your dryer, why not dry your clothes in a rack. Although it may take a while, the results will surely surprise you. Drying your clothes actually helps release moisture in the air in an energy-efficient way. Did someone tell you to spray your curtains with water? Well, we just did. It is an extremely quick and effective way to keep the dry air at bay. Spray sparingly if possible to prevent damage on the curtain. Are you resistant to cold? If yes, then installing a bathroom fan might be a smart idea. A bathroom fan is different from an exhaust fan. It generates cool air while circulating thus, making the room less dry and stuffy. Your vases are not just good as aesthetic displays but as a humidifier at the same time. Placing them near your windowsills can slowly increase the level of moisture in the air. You do not need to boil the water. All you need is the natural heat of the sun. 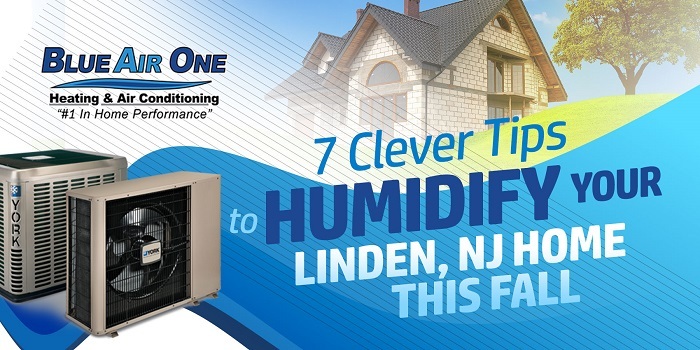 Try these clever steps to lower your indoor humidity this fall season. Here at Blue Air One, Inc., we can help you manage humidity effectively and professionally. For questions, talk to our experts today.